Think you know everything there is to know about beer? Think again, my friend. 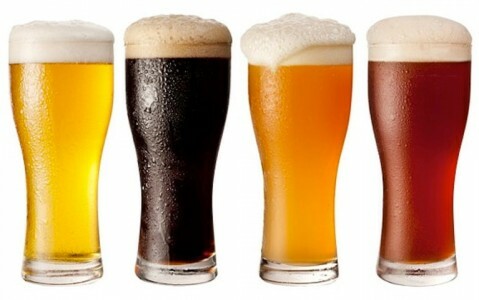 These 10 facts about beer should surprise and delight even the most knowledgeable beer experts. Try telling your mates some of these interesting facts about beer the next time you’re at the pub. In 2010, Finnish divers uncovered a number of 200-year-old bottles of beer from a shipwreck beneath the Baltic Sea. The ship dates back to the second quarter of the 19th century, which made it the oldest beer in the world. So what did they do with the beer? They drank some of it, of course. The divers said when they cracked one of the bottles open, the beer frothed up like any beer would. Apparently the yeast was still alive after 200 years. Who invented beer? No-one knows for sure. The oldest, functional brewery in the world is allegedly the state-owned Weihenstephan brewery in the German city of Freising in Bavaria, which can trace its history to at least 1050 AD. However, the Zaltec brewery in the Czech Republic insists that it’s older still, dating back to 1004 AD. You think that’s old, then get a load of this: the oldest beer recipe in the world is part of a 3900-year-old Sumerian poem that honours the patron goddess of brewing. In the recipe, honey is used to sweeten the beer and various aromatics are used for flavouring. When building the pyramids of Giza, Egyptian workers were partially paid with beer for all their hard work. Not just that but they were also given beer during the working day to keep them refreshed and relatively happy while doing their back-breaking work. Founding father and first president of the United States, George Washington had his own brewhouse on the grounds of his plantation home in Mount Vernon. He drank the beer himself and served it to family, guests and even members of staff. Beer is made with hops that are not at all dissimilar to marijuana. In fact, they’re in the same cannabaceae family of about 170 species of flowering plants. Obviously, hops used to make beer do not contain the same psychoactive compounds that make cannabis illegal in most countries around the world. Believe it or not but cenosillicaphobia (pronounced Sen-oh-sill-ik-a-phobia) is the fear of having an empty beer glass. I’m unable to verify that this is legit, but it is widely written about online. This one is definitely true: zythology is the study of beer and beer making. A zythologist, like many of the visitors to Best Beer HQ, is a student and connoisseur of beer, its ingredients, the best pouring techniques and beer pairings. Belgium has the most individual beer brands in the world – 400 – including the best beer in the world right now according to many experts, the legendary Westvleteren 12. Beer prevents kidney stones, it strengthens your bones, it contains most of the minerals we humans need to survive and, according to a study in the New England Journal of Medicine, beer can even make you smarter. Now let’s open another beer and drink to good health and prosperity!